My name is Christian Hesse, I live in Oberhausen, Germany (view satellite photo) und I was born on February the 27th 1982. Until 1998 I went to "Friedrich-Ebert-Realschule", then I changed to "Sophie-Scholl-Gymnasium" for three years. After that I worked for the german army for nine month. 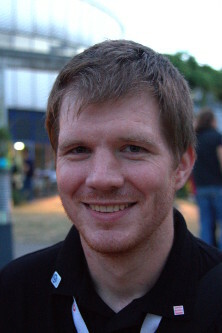 In 2002 I started training at Deutschen Telekom AG to become a "Fachinformatiker für Systemintegration". I finished training after only two and a half years. At the moment I work for the Bildungscentrum der Wirtschaft gGmbH in Essen. For some years I played water polo but the lost interest in it. At the moment my hobbies are computers - especially Linux - and radio controlled Helis. The photography has been added to my hobbies, some of my pictures can be seen in my gallery. 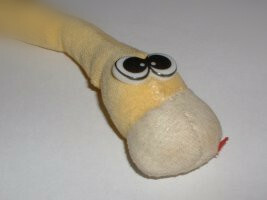 By the way, my nickname comes from a little worm earthworm that is sitting unter my monitor and guards my computer. 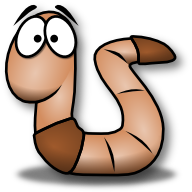 This name was too long so I changed it to eworm.